High Blood Pressure is defined as high pressure (tension) in the arteries, which are the vessels that carry blood from the heart to the rest of the body. It is also called “Hypertension”. 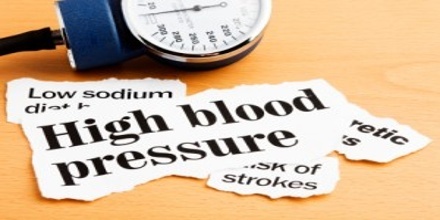 High blood pressure usually does not cause symptoms. 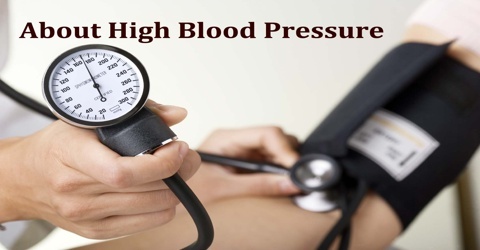 Long-term high blood pressure, however, is a major risk factor for coronary artery disease, stroke, heart failure, peripheral vascular disease, vision loss, and chronic kidney disease. Blood pressure readings are given as two numbers. The systolic blood pressure (the top number) equals the pressure in the arteries as the heart contracts. Normal blood pressure is below 120/80; blood pressure between 120/80 and 139/89 is called “pre-hypertension,” and a blood pressure of 140/90 or above is considered high while a systolic blood pressure of about 90 to 100 is considered low blood pressure. Lifestyle changes and medications can lower blood pressure and decrease the risk of health complications. Lifestyle changes include weight loss, decreased salt intake, physical exercise, and a healthy diet. 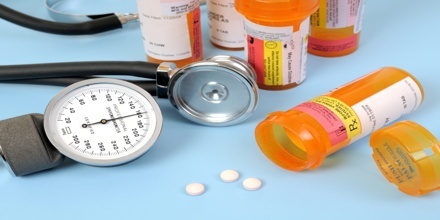 If lifestyle changes are not sufficient then blood pressure medications are used. For most people, there may be no single cause for their high blood pressure or hypertension. We do not know exactly what causes high blood pressure. The causes of high blood pressure are multifactorial, meaning there are several factors whose combined effects produce this. If it occurs as a result of another condition, it is called secondary hypertension. Secondary hypertension results from an identifiable cause. 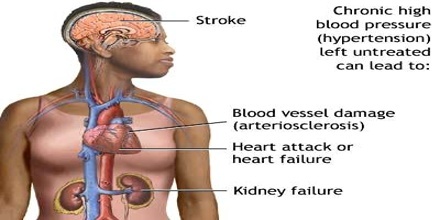 Kidney disease is the most common secondary cause of hypertension. Other causes of secondary hypertension include obesity, sleep apnea, pregnancy, coarctation of the aorta, excessive eating of liquorice, excessive drinking of alcohol, and certain prescription medicines, herbal remedies and illegal drugs. Arsenic exposure through drinking water has been shown to correlate with elevated blood pressure. The goal of treating high blood pressure is to keep the blood pressure below 140/90. Lifestyle measures are standard first-line treatment for hypertension, but people with blood pressure over 140 over 90 may use medication. Drugs are usually started one at a time, at a low dose. Side effects associated with antihypertensive drugs are usually minor.